Microsoft established itself as a world leader in technology and productivity when personal computers became ubiquitous in corporate offices and retail centres around the globe in the 1990s. By the dawn of the 21st century, desktop computers were in nearly every home, not simply in the largest corporations. Today, mobile devices are essentially integral to the daily lives of nearly every person, offering users more ways to maintain productivity and connectivity than ever before. Here at Softwarekeep, we believe in using only the highest quality products, and we ensure that our customers have access to the same top-quality products. Should you have any questions about the authenticity of our software, we would be happy to answer. Please feel free to contact us directly via live chat to learn more. What are the Microsoft Office programs? Simply put, Microsoft Office programs help you work smarter, better, and faster, both at home and at work. 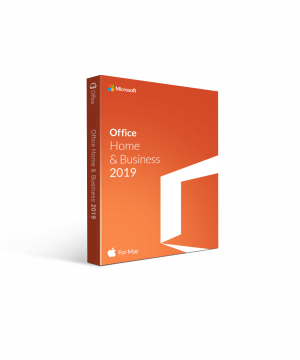 The Microsoft Office Suite is a package of software applications that performs specific functions and is intended to enhance the way you interact with your data. Some of these applications do see a crossover in a few of the functions they are able to perform, such as creating tables in both Word and Excel; but for the most part, these applications allow users to create and perform very different tasks with data. With all the specific functions available for collecting, recording, tracking, and sharing information across multiple applications, any user can ensure that they are well-equipped to manage and curate their data with ease. These applications are remarkably powerful, and their functionality adapts to each specific user’s knowledge and training. 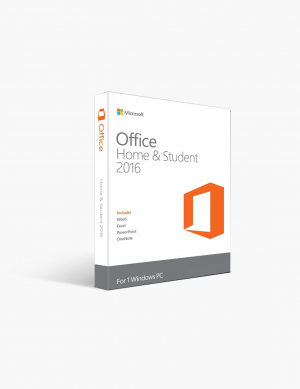 Because of this flexibility and adaptability of the Microsoft Office suite of programs, you can access and begin using the software right away with very little training or background skills, which allows you to be as productive as possible from the beginning. The main purpose is to ensure that users are given the ability to control and maintain the information they gather, store, share; and, as your knowledge and skill level with the functions grow, the range of functionality grows along with you, creating unlimited potential for any project or task you’ll need to complete. The software suite operates on both Windows Server and Mac OS systems; however, not all the applications are available on Mac OS. Some users have older editions of the Microsoft Office suites, which may or may not still have technical support from Windows and may not be compatible with your current operating system, depending on the specifications. In addition, a select few of the applications are only available to users registered for the Office 365 subscription. With the exception of Word, Excel, OneNote, and PowerPoint, not all applications are available in every Microsoft Office suite; the table below displays which programs are included in each of the Microsoft Office suite packages. Who can use Microsoft Office? Absolutely anyone can use the Microsoft Office Suite of programs for any number of personal or professional tasks. Microsoft offers a tailored lineup of software products designed to meet the specific needs of different users, depending on your system specifications, operating system, project needs, and level of support required. Microsoft Office users worldwide currently sit around 1.2 billion in over 140 countries and 108 languages. In Britain alone, over 250,000 jobs are tied to work with Microsoft, 2 out of every 5 IT worker is supported by Microsoft and supporting partners, and 120 of the world’s best and brightest computer engineers and computer scientists are employed by Microsoft. The MS Office suite is ideally suited to a wide range of users, from a university student compiling a history research report on the Renaissance in Microsoft Word, to a homeowner tracking a monthly budget for their mortgage in Microsoft Excel, to a self-employed freelancer using OneNote to track marketing and development for a soon-to-be launched service. Individual users worldwide have used Microsoft Office Suite programs to increase productivity and enhance otherwise mundane tasks. What makes Microsoft Office such an amazing productivity tool is the flexibility it offers its users. New users area able to harness the programs with relative ease to complete projects ranging from simple to complex, and seasoned users will see their productivity radically adapt to their skills. It doesn’t limit users at any level, and the help sections in each application are easily accessible to help any user find the solution they seek. Small business owners wear many hats, juggling multiple to-do lists at a time. With advanced features available for tracking, recording, and sharing data, business owners can create and submit invoices, track inventory, develop and monitor marketing campaigns, share files easily with clients for review, and maintain seamless edits with online and offline access to files while working on the go. 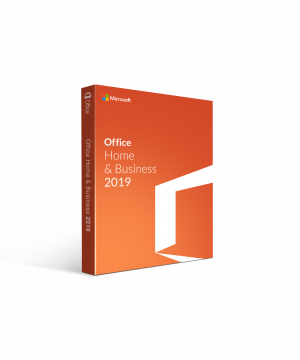 Large enterprises and corporations around the globe have implemented Microsoft Office suite in their workplaces to ensure a seamless transition of files and information within the company and across their networks. At this level, efficiency isn’t simply a buzzword...it’s a necessity to ensure that organization and collaboration are a success. Microsoft Office Suite programs assist large companies in this process to ensure everyone is consistent in formatting, application knowledge, and file sharing functions. 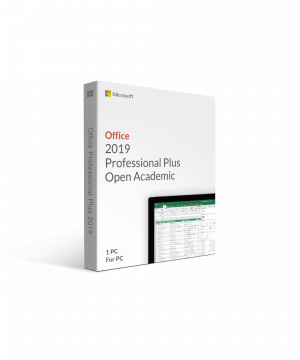 Each Microsoft Office Suite is assigned a specific set of programs, based on the particular user’s needs and functionality, their budget/price point, and their need for online or offline access to information and files. 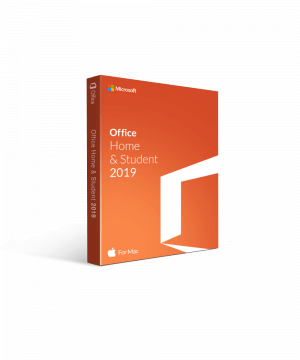 The applications available in Microsoft Office are listed below, with a more detailed description of the program along with a summary of the available features and functions you can perform with each one. This highly popular word processor is one the staples of the Microsoft Office suite of programs, commonplace in homes, classrooms, and workplaces. This powerful processor is used primarily to create text-based documents with a variety of media-rich graphic elements available to enhance these projects. What can you create with Microsoft Word? MS Word makes gathering, writing, and editing content much easier by offering a myriad of formatting and presentation options. As mentioned above, the functionality of this program grows as your knowledge of its features grows and your skill set expands, which ensures that the program never outlives its usefulness in your productivity toolkit. Since its initial release in 1988, the program has been reworked to ensure users have as many features at their fingertips as possible. Features such as Spell Check, Grammar Auditor, Autosuggest, and Autocomplete allow users to feel confident knowing that they will be able to share error-free documents with clients, colleagues, or family members. One of the major features of Microsoft Word is the ability to save multiple revisions of your document, or even revert to a previous revision, to ensure that you can review a previous work item should you need to change something last minute. This allows you the option of accessing several versions of your work, eventually turning them into templates for future work or allowing you to use the best elements from all those versions and collating them into one final, polished product. Where Microsoft Word really shines is its ability to create media-rich text documents, with the text being the focus of the content. The purpose is to ensure the user can easily transmit the information down quickly, especially when deadlines are looming. Text can then be easily edited and manipulated to create a document that communicates this information to recipients in a clean, easy-to-digest format, with the use of bullet points, tables, heading options, and different fonts and images. A little-known feature of MS Word is the drawing toolbar. Most users think of using a heavy graphic program like InDesign or a smaller, more easily manageable program like Paint to create images and graphics. However, several of these functions can very easily be done within Word itself using the drawing toolbar. Create 2D and 3D shapes, adjust colour and text effects, and other shadows and graphic effects to enhance your documents, bringing them from blah to brilliant. For more experienced users, MS Word also allows you to edit and process HTML code directly within your documents in order to create live web pages. This is incredibly useful, in cases when you need to edit your website’s content but you don’t want to disrupt service to the current webpage for any users still accessing your site. We’ve had several customers ask us about the difference between Wordmap and Microsoft Word, and whether the two programs are interchangeable. Wordmap is actually a extremely pared down version of MS Word, only offering the functions of entering and editing text in simple form. It should never be used as a substitute to MS Word, but rather used solely for its primary function: note taking. There are no extraneous features available to enhance your text in Wordpad. Think of this program as just that: a digital “notepad” to quickly jot down ideas, thoughts, and meeting notes. MS Word could more easily be compared to a Swiss Army Knife, with its wide array of functions, features, templates, and media elements ready to shape, fix, and whittle your document into a beautiful final product. The team at Get MS Office uses Microsoft Office suite daily for tasks and projects, and we highly recommend you try one of our packages by downloading our discounted software online. You can purchase Microsoft Office Licenses directly from our site. Microsoft Excel is an electronic spreadsheet application used primarily for storing, organizing and manipulating data, and it is designed by Microsoft for both Windows and Mac users. One of Microsoft’s most widely used applications, Excel is used primarily to generate spreadsheets. This program is very powerful and allows the user to manage, track, and store their data in a clean, well-organized format. Microsoft Office programs offer users of any skill level to be able to download and use immediately, and Excel is no different. The functionality of this program allows for a vast array of uses and applications to create databases for a number of personal and professional reasons. Note that Excel itself is not a database, but rather it provides an excellent complement to a database, turning reams of data into attractive reports and charts for reference and presentation. How can you use Microsoft Excel? The major uses for Excel include analyzing data, managing records and accounts, generating profit and loss statements, identifying trends, building charts and forms, tracking budgets, and maintaining customer accounts and relationships. These uses are applicable in personal, educational, financial, and professional environments. Among the many uses for Excel is the management and tracking of financial data. Industries from accountants to traders to office managers use these functions daily. Microsoft Excel helps them to analyze profit and loss statements, review budgets, and track expenses. The latest release of Excel includes updated functionality and even more processing power. Easily build multiple pivot tables, analyze data, and create charts for school and business when you upgrade to Microsoft Excel 2016. Harness the power and functionality of the MS Excel program to configure different data sets, to compare those sets with a variety of options, and to isolate specific information for research purposes. All these functions allows you to track particular data, and users can access the toolbar for even more features to control the way you interact with the data. Customization options are numerous, in terms of sizes, colours, fonts, symbols, text, formulas, and templates available when creating your spreadsheets. Each column and row can be formatted to adhere to a strict formula or qualification (i.e. mathematical calculations). One of the most productive features of Excel is the ability to create formulas. This function enables the user to create a set of instructions tailored specifically to your data and data sets. Formulas are calculation operators that integrate with constants, cell references, functions, and names to create intelligent cells. These intelligent cells can display mathematical functions and have the ability to manipulate specific data in order to narrow down information. Microsoft Excel also enables macros, which are functions that allow users to create a command for a specific program on your computer to carry out a specific task (or instance). Each time you enter that command, the computer program will carry out the task (instance) that you had previously entered, simplifying your work processes and increasing your productivity by eliminating steps. By using a visual code in a basic format, users can perform micro tasks that add power and productivity to your workflow without growing too complex. As stated previously, there are many powerful, time-saving features of Excel that the everyday user may not know about, but fear not! Once you begin to learn these techniques and functions, you may soon come to discover the control and efficiency they provide, and you’ll quickly realize that many of these functions will be impossible to live without. Using cell references/name - allows users to perform mathematical calculations and bring data to specific cell or cells within the spreadsheet. Functions - users can insert specific functions directly into active cells, using either pre-built or custom built formulas. Concatenate functions -- geared to advanced users of Excel, concatenate functions save users the time and money it would cost to implement expensive reporting software. Using a mix of concatenate functions within Excel, you can create payroll, invoicing, and accounting actions. Microsoft Excel has the functionality to handle these tasks, eliminating the need for small businesses, hobbyists, and homeowners from downloaded multiple programs to handle these items. For any questions or issues, the Function Wizard within Excel is your go-to resource for tips, tricks, and step-by-step techniques for creating and using formulas. Microsoft Office software is available for download here at Get MS Office to help streamline your administrative tasks. Microsoft PowerPoint has become such a mainstream application that other slideshow programs are called “powerpoint” as well. The application is used primarily to present digital slides in sequence to present textual information and supporting images, videos, or graphs. This program is used mainly in public speaking and conferences, training programs and classrooms, and any number of other presentation scenarios. Companies often use MS PowerPoint to enforce branding and marketing strategies by presenting their sales goals, financials, milestones, and mission statement in a clean, professional format. Public speakers and lecturers appreciate the ability to present information in small, short slides, which encourages and enhances learning and retention. The team at Softwarekeep.com frequently uses PowerPoint when presenting information to new clients about our products, or when introducing employees to new marketing or content campaigns. Easy-to-read format in small segments ensures that we can clearly communicate our message in a timely manner. Recording: PowerPoint has the option to record a slideshow as if it were a video, giving you the ability to watch, rehearse, and edit your presentation ahead of time, preventing costly and unfortunate mistakes. Set up: Provides users all the configuration options available to edit and customize each of your slideshow projects and presentation settings. This feature comes in handy during your presentation, to help avoid as many “technical difficulties” as possible when connecting your device to the display. Slideshow: Your slideshow project can be tailored and customized, from the images and other media-rich elements added to the length and timing of each slide. All the functions available can be found directly from the toolbar. Tables and Charts: As with other Microsoft applications, the tables and graphs come with either preset templates or customizable options that can be tailored to your project. These customizations can speed up your presentation, with graphic representations of your data making a greater impact with fewer slides. Themes: PowerPoint comes with built in templates for presentations. These templates are fully customizable and you can add the media that you need to create your presentations. Transitions: As mentioned above, transitions between slides can create a less jarring effect on viewers and create interest when shifting topics mid presentation. Don’t be fooled... ...Microsoft OneNote is not simply a note-taking application. This program is a comprehensive, in-depth compendium application that allows the user to keep extremely detailed notes on research, photos, screenshots, audio files, drawings, and other information. Free to download, OneNote is available as a web app, a mobile app (for iOS, Android,Windows, and Symbian), or a desktop app and it integrates seamlessly with all Microsoft Office programs. Although similar to MS Word, OneNote differs in that the document is constantly being saved as the user is working on it (in Word, users have to manually save their work, putting it at risk of being lost should a power outage or hard drive issues occur before a manual save can be performed). Security and assurance knowing your work is safe as you stay focussed on the work at hand. MS OneNote organizes information into sections and pages, much like the spreadsheets and sheet tabs in Excel, and includes an indexing search function. Users can edit the structure and format of these pages and sections, as well as apply tags to the information for reference. Multiple users can gain access to edit the same OneNote file, making it an ideal application for team or group projects and giving users simultaneous access to create, edit, and share information on the file. As with other Microsoft programs, you can add images, effects, tables, charts, and audiovisual elements to your files and pages. These features can be edited offline if need be, and the data will sync once Internet connection is established. Microsoft OneNote is able to integrate with third-party services and applications, allowing its functionality to expand rapidly as a user’s needs grow and shift. Microsoft Outlook is the Windows email program that provides seamless integration with all your other Microsoft applications, such as your calendar, to-do lists, and task manager. Outlook provides as much accessibility as any email provider, ensuring that you can access your emails from any machine and any location, a useful function when either you or your team need to work away from the office. MS Outlook is much more than a program for sending and receiving emails. When Microsoft initially designed Outlook, the company noticed that clients had been using the program to send emails in order to schedule meetings, manage teams, and delegate tasks. To accommodate for this shift in functionality, Microsoft built a set of tools to integrate directly with Outlook to make these tasks more efficient and intuitive for users. Organization is key to productivity, and the Outlook program ensures that users can organize their emails, tasks, events, and contacts easily. You can create folders and labels to organize specific contacts or keywords in order to streamline future searches. You can also customize and format the layout of your inbox to ensure that priority items are at the top of your inbox. Tag emails from specific contacts or emails with specific topics and keywords with different colours or labels, making those emails stand out from the rest in your inbox. With various colours, you’ll know at a glance what those emails contain and who sent them. Contacts in your database that are clients can be labeled as such, so the program will automatically know who you’re emailing and is able to categorize your correspondence to help keep track of any and all email communication. While Outlook is not a CRM platform, it can certainly keep you on top of contacting and tracking your communication with leads and existing clients. Add reminders for yourself and your team directly in MS Outlook, which will increase your productivity and streamline your daily workflow. By using the chat function, you can ensure that other team members don’t have cluttered inboxes for items like short comments or notes and last-minutes scheduling changes. With the built-in task manager, users can create “reminders” or to-do lists directly from Outlook, saving you from downloading external applications. A unique feature recently added to the features line up is Forms, which operates as a sort of group voting function. For example, a graphic designer can submit a draft of her work to the team for review, requesting feedback on her project before it is submitted to the client. Her team members can use Forms to submit responses, for either a set of specific selections (ie: multiple choice answers) or for more detailed feedback. This useful feature allow the requesting member to gather specific, timely information from a wide range of sources in one place to efficiently edit the project before deadline. For those vacation days when you’ve decided not to answer emails, you can set an “out of office” (OOO) notification for colleagues and clients (or even family members), informing them when you’ll be back at work so they aren’t left feeling like their email was lost in cyberspace. Microsoft Outlook has been designed with the highest level of security protection. The application works hard to block web attacks, malware, viruses, and foreign addresses. The junk folder filters spam and malicious/suspicious incoming mail, ensuring any items that do come through can be deleted without harming your computer. However, as with any email client, there are risks, and it’s advisable to ensure that your Internet security software and antivirus program are up to date to protect against attacks and malware. Softwarekeep.com has a selection of both antivirus and Internet security software to ensure your computer is safe from these attacks. Microsoft Publisher is just as its name suggests: a digital publishing application that enables users to create beautiful layouts for print and digital documents alike. It supplements the design features in other Microsoft Office programs, focusing on graphic and media-rich elements to help you design stylized layouts. Ideal users of Publisher are graphic designers, marketing experts, creative writers, or creative designers in various industries, and is also popular with small to medium sized enterprises. While not as robust as some external design applications, MS Publisher provides a powerful complement to the MS Office suite as a whole. 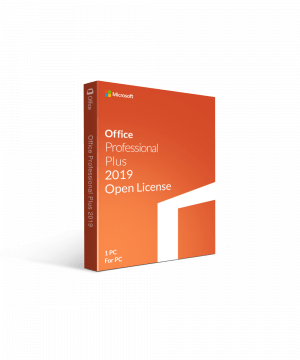 MS Publisher is not available in every edition of Microsoft Office; however, you can access this application in Microsoft Office Professional and MS Office Professional Pro suites. Users should be aware that while Publisher itself supports various file formats, Publisher files (.pub) aren’t supported by many external design programs for import. While MS Word and MS Publisher are quite similar in many functions they perform (such as text editing image upload, and customization of formatting and graphic elements), Publisher offers many advanced features that allow users to focus on layout and design, rather than primarily on the text. DESIGN: Thousands of pre-built templates are available for use, but plenty of options are available to create templates from scratch. Advanced features include, shadowing, drop caps, outlining, special font effects, layers and gradient fills. Examples of publications users can create (from template or customization) include newsletters, company reports, certificates, postcards, book covers, guides, and much more. MS Publisher works with third party email management software’s to publish direct to email, company marketing campaign news and sales letters. In the Ribbon tab you will have the ability to store various contact information for sending publications directly in Publisher with mass send functionality. Microsoft Access is a more robust database application that enables users to manage vast amounts of data. While many users may view MS Excel as a database, in actuality Excel is a pared-down, less secure spreadsheet program, whereas MS Access is a database management software. The primary use for Access is consolidating data from multiple sources into one controlled, secure database, eliminating the need for multiple data locations. MS Access is able to handle much larger volumes of information than Excel with multiple databases, and more elegant reference and organization functions offer users great, more secure control over their information. Access also provides greater functionality with displaying and presenting data in reports, charts, tables, graphs, etc. Especially suited to medium-sized enterprises, Access offers database management application to help business owners streamline the reams of information that come into your company’s systems daily. If users wish to create a simple database, they’ll only need low to moderate skill level for managing the functions and data within this program. Anything more complex, and users will be required to possess a greater skill level to truly harness the power of the program. PRODUCTIVITY: Access allows users to make live edits that show immediately in other MS Office programs, an excellent time-saving feature when searching through volumes of information at once. CONTROLLED SECURITY: As a database, Access will be your central storage location for all controlled data. Higher security features of MS Access include encryption and password file protection. ELIMINATE DUPLICATES AND ERRORS: Ensure that your data isn’t entered incorrectly or in multiple locations. With the integration among MS Office applications, you can be assured that your information won’t have to be manually entered or edited in another program. Access removes duplication and inconsistencies by using one main database to manage all data. SMARTER INSIGHTS: Be able to search for and read your information with more intuitive insights. Having better data means making better business and financial decisions, giving your company the competitive edge. Powerful functions such as query filters and historical trends add to your database management toolkit. Convinced that Microsoft Office suites are the right fit for you and your business? You can buy Microsoft Office Licenses here. Microsoft OneDrive is the file-hosting service Microsoft offers as one of its online applications, giving users the ability to access all files both online and offline from home, office, or on the road. The beauty of this application is its ability to sync with all manner of devices (mobile, tablet, laptop, desktop) and operating systems (iOS, PC, Mac, and Android). MS OneDrive increases the productivity and interconnectedness of your team (or family or classroom) by enhancing the way files are created, edited, and shared. It eliminates the need for everyone to have separate copies of a file, which can cause delays or frustration with missing data or unknown edits. Security and privacy is of utmost importance for businesses, especially when it concerns private customer and company data. The IT tools available through OneDrive ensure that your team can turn to professional and reliable support from Microsoft should you experience any outages or technical issues. Are there alternatives to Microsoft Office? There are few products that compare with Microsoft’s dominance in the arena of business productivity software. With the power and cross-platform integration when involving multiple applications that Microsoft Office provides, it’s easy to see why few, if any, software providers have come close to providing the level of support and functionality that MS Office suites offer. The major providers that compete with MS Office are Open Office, Google Docs, and Oracle. These programs provide consistent and robust features, functionality, and support for clients as well. As with any product or software, the choice narrows down to what you need to do, what your specific goals for personal or professional projects will be. 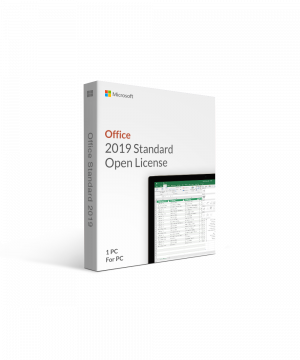 If you are looking for more flexibility when it comes to MS Office products, you can invest in Office 365 products that can be purchased on both monthly or yearly subscriptions. For the most robust version, buy Office 365 Business Yearly. We at Softwarekeep sell Microsoft Office products because we use them and believe in their quality, their performance, and the accompanying support you receive. We stand strongly behind Microsoft and the quality of their software products. Microsoft exists in a spirit of connectedness, between user and device, to provide the end user the best possible experience with both hardware and software. Need another excuse to purchase a new digital download? Microsoft invests in the education and development of young people around the globe, with over 300 million youth helped worldwide via the YouthSpark program. They’ve also helped almost 3,000 active startups in Britain through their BizSpark programme. How do digital downloads work? Because we’re always working hard to ensure we are doing everything possible to minimize our carbon footprint, all of our software products are available as digital downloads only. This ensures that no unnecessary packaging produces waste. Digital downloads also ensure that your new software can be downloaded immediately...no shipping or handling charges, no wait times. We do offer USB backups of all software purchases for an additional fee, should you require a physical backup of your purchase. Downloading digital software products is simple! 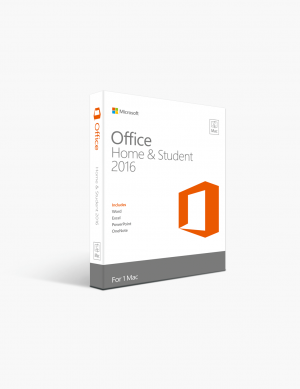 We have created a step-by-step guide that walks you through the process of downloading your Microsoft Office product. Simply click on the product you wish to purchase and follow the instructions for payment, and you’ll soon receive an email confirmation with a download link for your new software product. Should you have any questions about downloading your new software, or if you run into any issues, we’re eager to help! Contact us directly via phone (+1 877 315 1713), email (sales@softwarekeep.com), or live chat to speak with our dedicated support team 24 hours a day, 7 days a week. How much do your Microsoft products cost? Prices for Microsoft Office Suite programs on Softwarekeep.com range from $58 - $449, depending on the programs included in each software package. Our prices are some of the lowest prices on the market, and if you ever find a lower price online for the same authentic Microsoft product online, we’ll beat the price by 5%, guaranteed. Softwarekeep.com purchases all our software products at a discount from our suppliers. As a result, we are able to pass along these discounts to our customers. We are certainly able to accommodate bulk purchases for customers requiring large quantities of our digital download products. Please contact us directly via email in order to ensure that we can arrange the best possible savings for you. Be sure to also watch for our regular sales promotions for more savings, as we consistently feature monthly sales on all our software. Softwarekeep.com offers only 100% authentic Microsoft products to all our customers, and we ensure that every product we sell is backed by our money-back guarantee. We always purchase genuine products from reliable, reputable suppliers in order to ensure the highest quality in our products. We expect only the best products for ourselves, and we believe that our customers deserve no less than the best software as well. Should you have any questions about our digital download products, please don’t hesitate to contact us 24/7 to connect directly with one of our team members. Our technical support team is also happy to help you with any issues you may encounter with downloading or using your newly-purchased software from Softwarekeep.com.